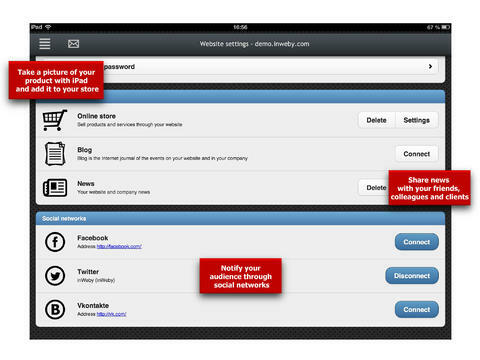 inWeby is an iPad app developed by Innovation Systems, LLC. If you want to make a website in 10 minutes flat using a simple iPad interface, inWeby is here to make your life easier. 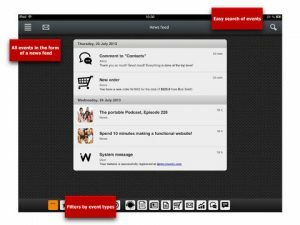 What inWeby brings to the table (or should I say “to the tablet”?) is a no code required kind of environment. 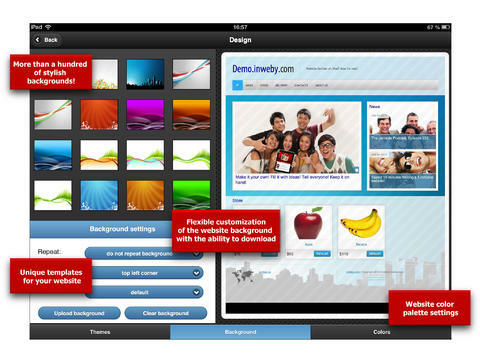 The interface is intuitive and creating your site is very simple. There are also great stats and great support. In addition to standard sites and blogs, inWeby also allows users to create online storefronts. Perfect for small business owners, these sites will include an online payment system. Another plus: estimates for shipping and handling charges! Speaking of charges…hosting, server setup and its maintenance are included in the price you pay. How handy is that? I can’t say enough about how user-friendly this interface is. 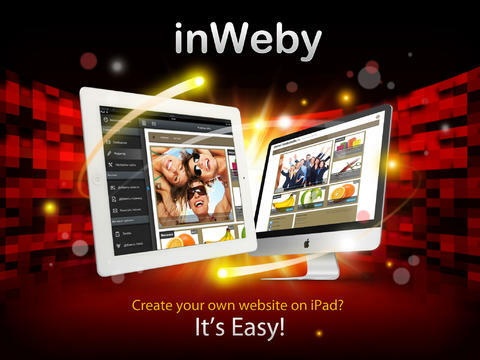 inWeby is the gold standard that all other “easy website” tools should aspire to. I have rarely seen such a simple interface, and this app is just totally polished. inWeby has a lot to recommend it beyond just a nice UI. It’s also feature-rich. This tool makes it unbelievably easy to change patterns, palettes, backgrounds, and structures. I really just cannot say enough nice things about the pleasant experience I had playing around with inWeby. For just 5 bucks, inWeby offers a pleasant working environment, a lush suite of customization tools, and a really simple way to create a site that’s right for you. Toss in the ability choose your own domain name for free, or link an existing one, and you’ve got a healthy app that’s well worth a minor investment. Give it a try today! inWebyis compatible with iPad. Requires iOS 5.1 or later.